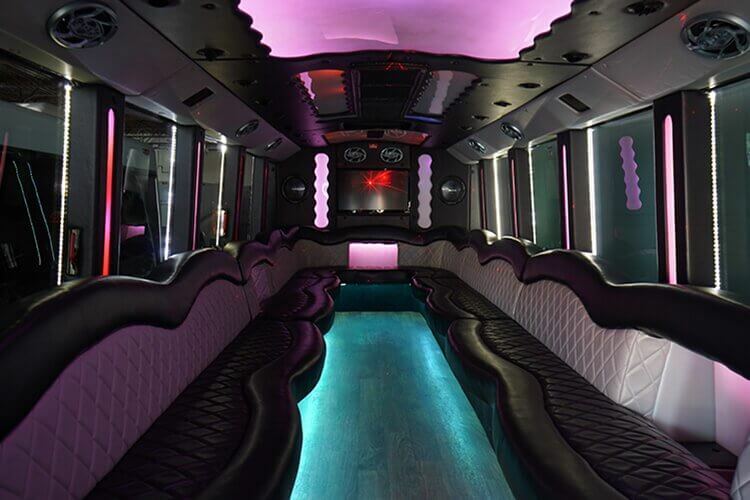 Be our guest and put our service to the test with these incredible Trolley Cars, Limousines, and Party Buses! You won't find a better fleet of vehicles anywhere else for Metro Detroit. We have built our armada of luxury vehicles from the ground up, working hard and learning from our many clients along the way. We have worked tirelessly to ensure that our line up of vehicles are parallel to none. We are constantly and consistently updating our vehicles to include only the finest and highest quality amenities available. Once you take a ride with us, you won't want to ride with anyone else. 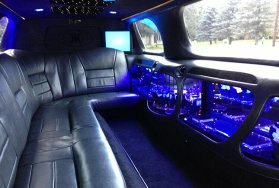 Ready to book, but unsure of which vehicle to choose? Well, that's why we have this first-rate website! We wanted to be able to present to you any and all information we could to help you choose the perfect vehicle for your needs. The first thing you will want to consider is the amount of people you wish to transport around. Why would you need this? Well, each vehicle can only transport a max amount of people around legally at a time. And, because the Michigan Department of Transportation has deemed only fourteen inches of seat space per person an adequate amount, we want to give you a tip. It's not much seat space for most people. 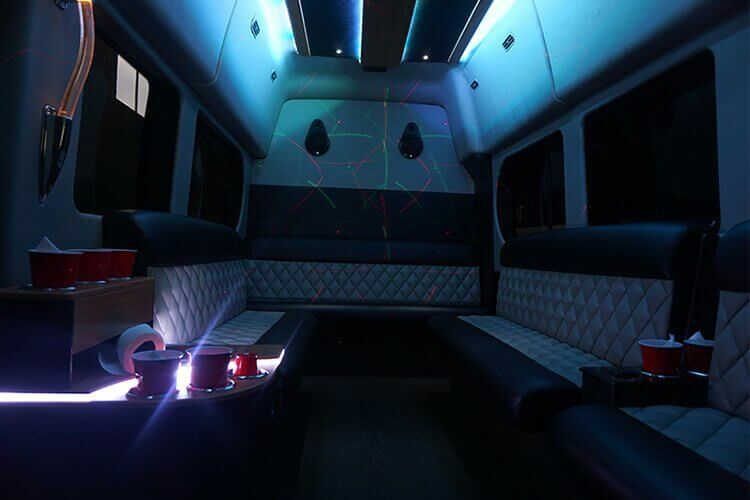 So, we recommend that if you would like ultimate comfort during your trip with us, to reserve a vehicle that has more passengers than you need. Or, if you aren't too worried about that little tidbit, and want to save a few dollars, you can rest assured that each vehicle is capable of legally transporting the max number of passengers listed below. The next choice you may have to make for your adventure with us, is which amenities matter most to you and will ensure a successful trip! Are you wanting something that speaks elegance? Perhaps you want to ensure that you can get your groove on and you want space to dance while riding around? 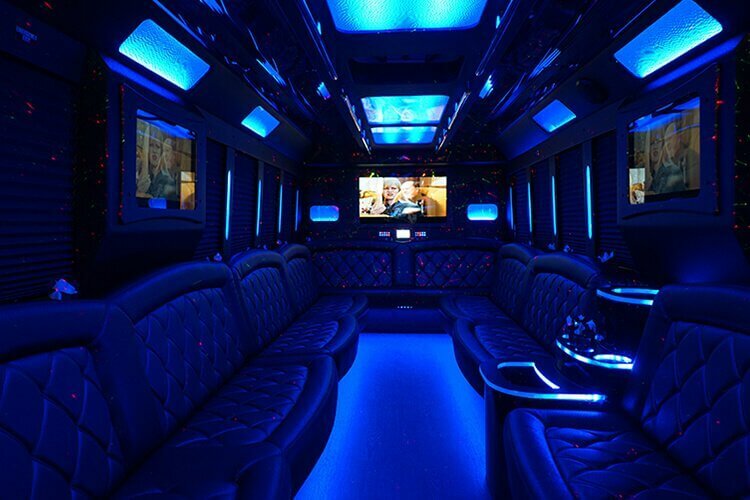 Or maybe you're just looking for a nice large television to keep the kids entertained while traveling to their birthday party? 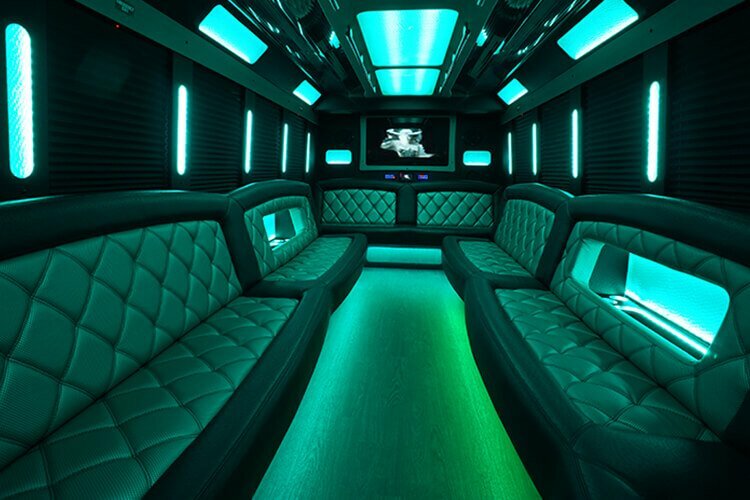 If you need help deciding on amenities, let us know which would be important to you and we will be able to help you find the vehicle that is perfect for your event. 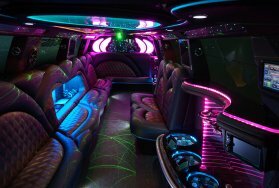 Lastly, we are sure you want to make sure that your rented vehicle speaks to the type of event you're holding. 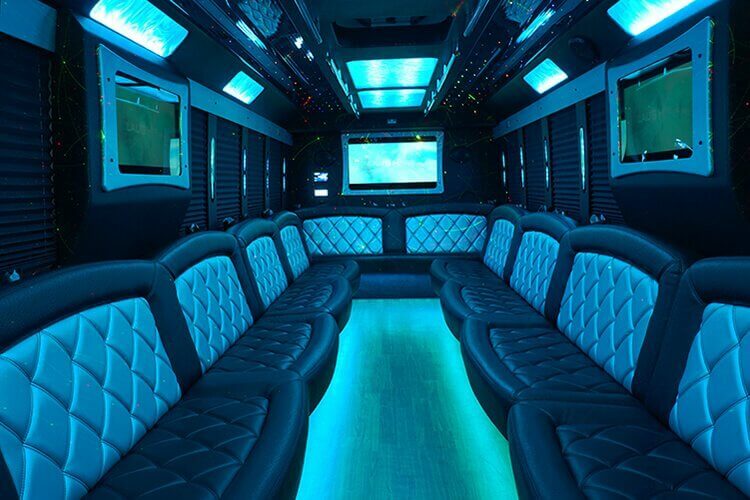 Party buses are perfect for larger groups of people who, want to party. These are perfect for larger wedding parties (lots of extra room for big poofy dresses), bachelor and bachelorette parties (we've got dancing poles), and similar events. Our Trolley Cars are perfect for shuttle type trips, wedding parties again, or even field trips for schools! 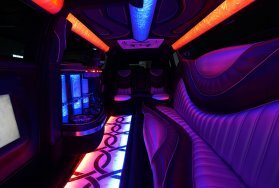 And lastly, you will find that our limousines are perfect for more classy dates, intimate settings, smaller wedding parties and the like. Rest assured that no matter which vehicle you choose, it will be a time you won't ever forget. Once you're ready to book, be sure to visit our contact page or give us a call using the number above! Thank you, and enjoy peeking at our vehicles below! •Detroit's downtown turn-of-the-century trolley cars, complete with old-fashioned, uniformed conductors, operated along Washington Boulevard and Jefferson Avenue. 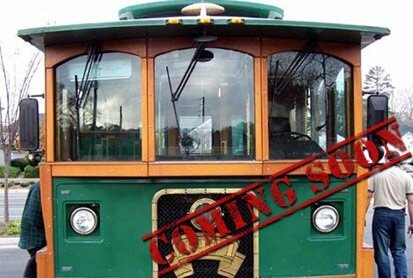 The vintage trolley cars made their Detroit debut in 1976. The electric-powered cars were built in England, Germany, Portugal and the United States between 1895 and the 1920s. •Detroit supplied 75% of the liquor during the Prohibition. •August 20, 1920 was the first news radio broadcast on WWJ in Detroit.